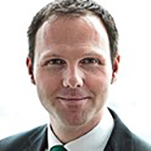 Martin Ackermann, born 1977, is Chief Executive Officer of BW LPG. He has over a decade of international management experience within the maritime industry. Before joining BW LPG, Mr Ackermann was Chief Executive Officer of Evergas A/S and Managing Director of Eitzen Gas and B-Gas, where he led the rejuvenation of the former Eitzen Gas fleet. Mr Ackermann was previously with Sigas Kosan A/S from 2003 and 2005 and with Lauritzen Kosan A/S from 1998-2003. He has received executive qualifications from INSEAD, China Europe International Business School, The Oxford Princeton Programme and Copenhagen Business School. Mr Ackermann is a member of the Institute of Chartered Shipbrokers.